Are you a cake lover? I bet you are! So stop what you are doing now and think. 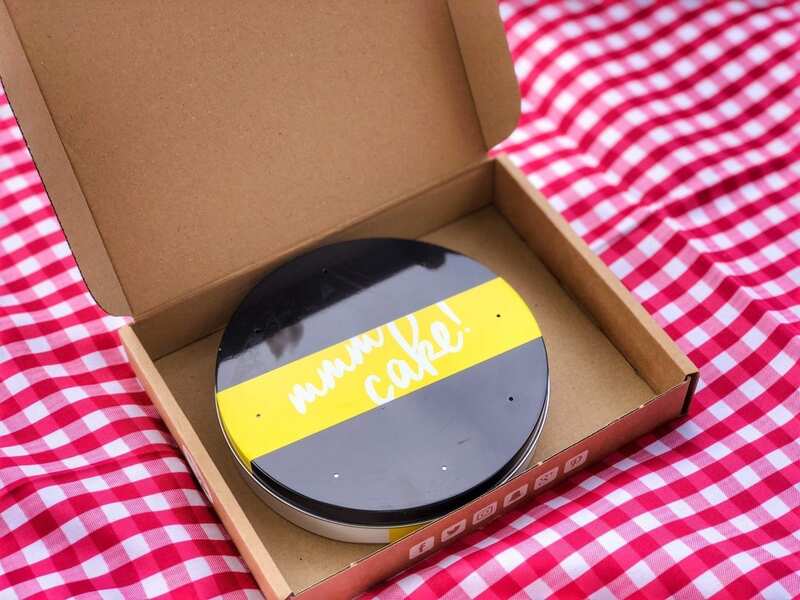 How amazing would a company delivering cakes in your mail box be? More than amazing, actually awesome, right?! That’d be like a dream you may say. And I’d reply that it is not, it does exist and it is called Bakerdays! Let me introduce you to them. Bakerdays is situated on the edge of Sherwood Forest in Nottinghamshire (where all the magic happens) and what they do is delivering great celebration and gift cakes all over the UK. Bakers and innovators, they like to play with very versatile colors and decorating processes to create beautiful cakes that taste amazing! 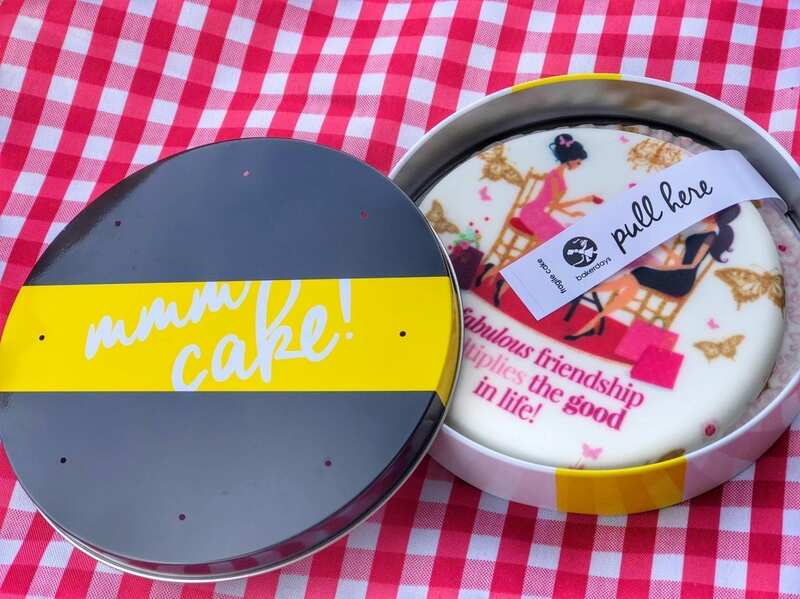 It was founded by two entrepreneurs who love cakes – eating them and creating the perfect design for every occasion! Not that you need a specific occasion to eat cake, am I right?! Although, when they got in touch to work together, I suggested that what I could be celebrating on this occasion is friendship! A friendship that is very new in comparison to others I have but that feels very old and that is very important to me. A friend who have been there for me when things were tough and that I know I can always count on. Also a friend who braves the rain with me to get those perfect outfit photos. 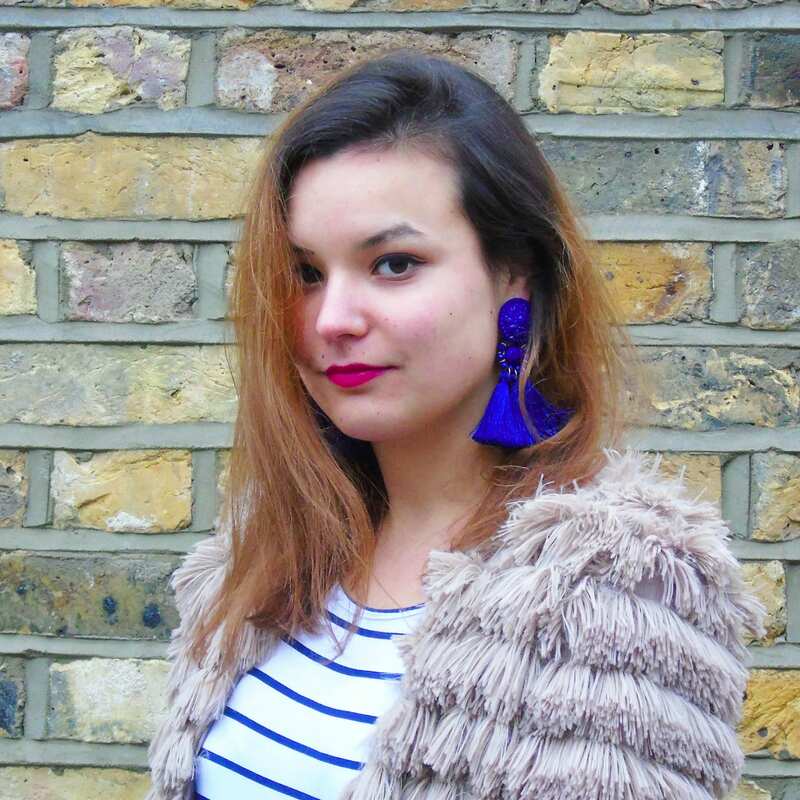 I think you’ve guessed, I am talking about Ana from Faded Spring! The choice of cakes you can get is very large. It goes from birthdays, to engagement, new home, new job cakes to football, good luck or Halloween cakes. And many in between. Friendship is not one of them. However, what is also amazing it that if the occasion or design you want is not there, they will create it for you! And that is how Ana and I got to taste a letterbox gift cake dedicated to celebrating our friendship. Delivered next day, I may add and in a round tin box! They also do personalized cupcakes and balloons in case that is of any interest to you! 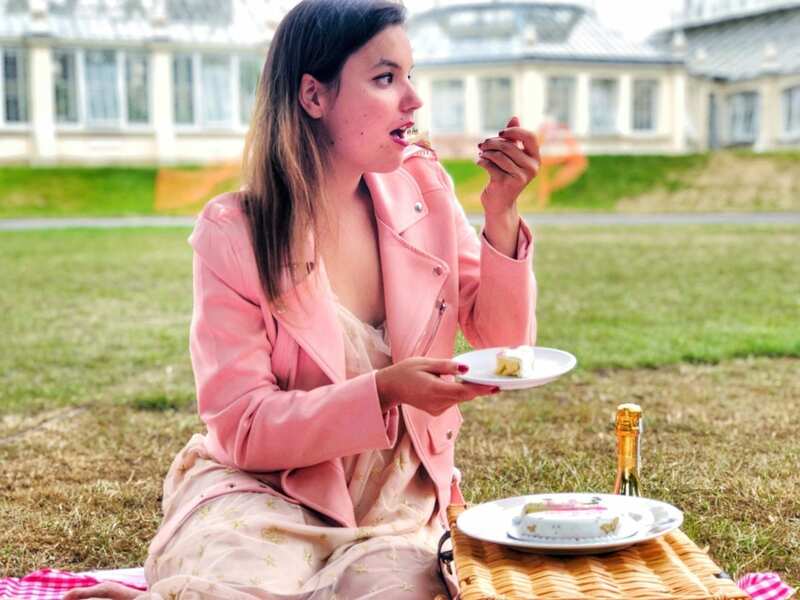 Ana and I went on a picnic in Kew Garden back in July where we drank some prosecco, ate delicious Italian food, shot outfits and of course, tasted the cake! I am sucker for lemon – and so is Ana – so I chose a lemon drizzle cake! No regret! Love lemon, loved the cake! I am usually not a fan of marzipan but I must admit it complimented the lemon Victoria sponge so well! We did not eat the whole cake in the park but I can tell, it did not last long when I got back home! I really love the idea of the letterbox gift cake. It is very clever and can make a very good surprise to a loved one! The size is perfect for one or two people so no leftovers in the fridge for ages. However, I have found the cake slightly dry. It is probably because we ate a few days after I received it though. A word of advice, eat it when you receive it! Had you ever heard of Bakerdays before? Even ever tried them? What did you think? Did you enjoy the experience? How do you find the idea of a letterbox gift cake? Thanks for stopping by! I hope you liked this post! *This cake is a gift from Bakerdays however all opinions remain my own. That has to be the cutest little cake I have ever seen! It is such a sweet and fun way to celebrate friendship! I really love cakes and nothing would make me happier than receiving lots of them too. Even though I’ve not heard of Bakersdays, I’m already in for their cakes. It looks yummy! It’s a shame it was a wee bit dry. Why do you want me to have a craving for cake right now 😢? 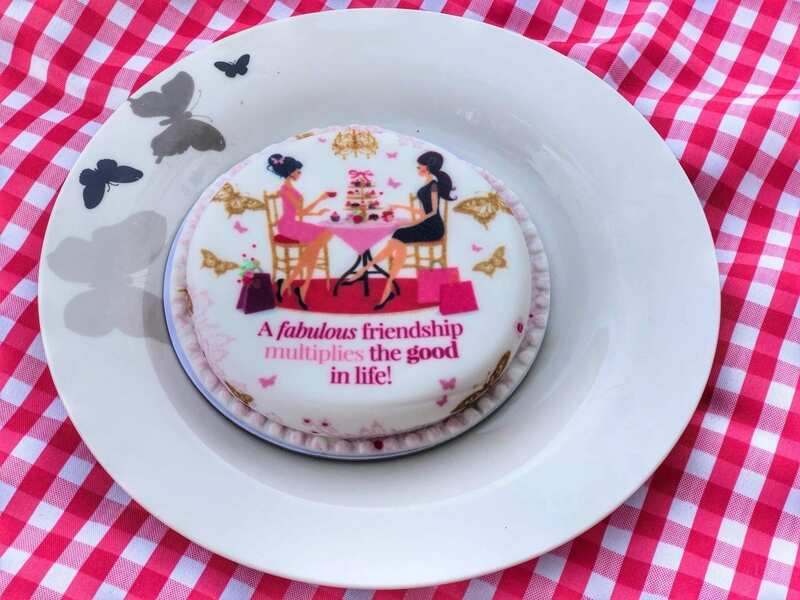 I am a big fan of cakes, loved the idea off celebrating friendship in this way. I love the service, I love the fact that they come through the letterbox! What an amazing idea! This is such a cute idea! I’d definitely love to have a cake through my letterbox! I love that you chose to have a cake to celebrate your friendship! What a great idea! I am deffo going to look into getting a cake for my dad’s retirement, think it will be a great surprise! Now I just want to eat loads of cake after reading this. Looks like you had a great time in the park, and what better way to spend celebrating friendship! What an amazing cake! I love baker days, their cakes are just lovely and I love that you can design them yourself! I definitely need to get one for the next celebration! Fantastic review and the idea of celebrating friendship is brilliant because it’s different! What a lovely idea! This sounds like the perfect gift for a birthday! I love the little detailing and the box it comes in! My moms birthday is coming up. This would be a great gift idea for her. I tried a vanilla bakerdays a while ago and it was great! I’d love to try lemon though, it sounds lovely and the design is so sweet, a perfect gift for a friend! Oh my gosh, that is so incredibly sweet! I wouldn’t mind having one of those right now! Such a sweet gift! The cake design is so beautiful, I would definitely need to take some instagram photos of it first before cutting a slice into it! Thanks for sharing!! I love pastry and guest will surely love your post here. I love the style and the presentation of every item. Truly made me glad to see your post. I didn’t hear about this company before. It’s intriguing how the cake comes by post and fits into your letterbox. What a cute cake! I would love to get a cake in the mail. I’d be concerned that it wouldn’t travel well, but I guess that’s why they have express shipping! 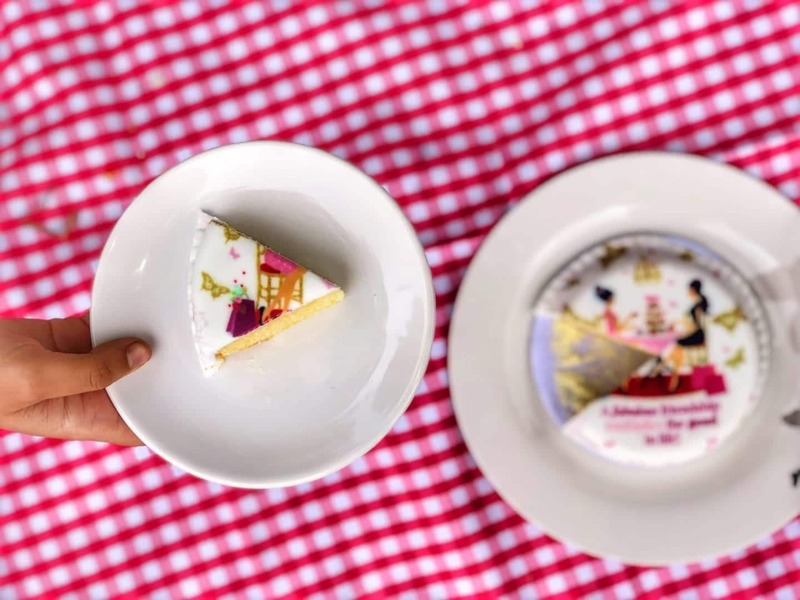 These cakes look so cute and delicious! I’ve never heard of bakersday but I love what they do. Great shot! I love kew gardens! How can one eat such a cute cake! This is the best way to celebrate the Friendship day. The cakes looks so tempting. Oh my, that cake is SO cute! I love the idea of a letterbox gift cake as long as it’s not only beautiful on the outside, but also tastes delicious. Thank you for sharing this, your pictures are gorgeous! 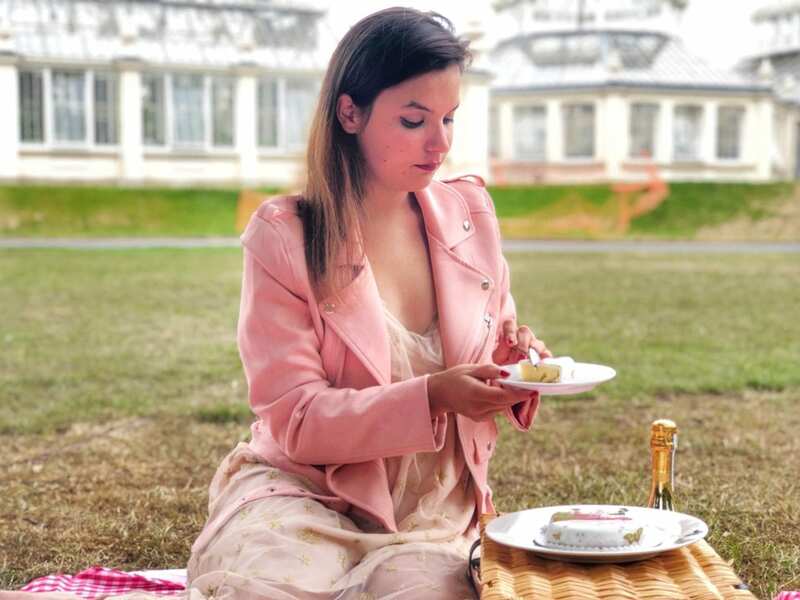 Oh i love cakes and afternoon tea! My phone loves to captured them too for souvenir! What a great idea! Ive never seen anything like this I wonder If we can get this over here in Australia? These cakes in a canister are becoming a norm nowadays. I just recently enjoyed a chocolate cake in a can, too I would love to try Bakerdays, too. It is beautiful cake, I like the idea of marzipan rather than fondant. Sorry the cake turned out to be little dry. I am not so good at posing so those tips are helpful as hell!